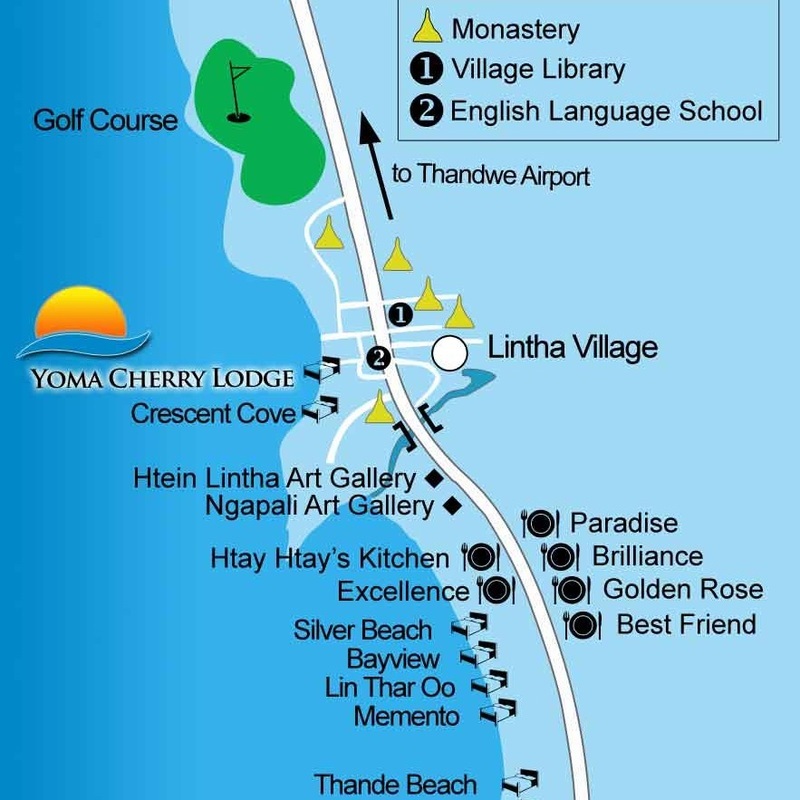 The school is in the small road that leads to the Yoma Cherry Lodge from the main road in Lintha. If coming by taxi or local bus you can ask for "Mummy Sue's school"..everybody will know where to send you! When you arrive...pass through the school gate and follow the signs on the wall in front of you. You will find designated seating at the back of the class ... please take a seat and enjoy your visit!! At the end of the class one of the teachers may ask you to speak with the children. We would ask you PLEASE SIGN OUR GUEST BOOK ... thank you!! 7am - 9am, 4pm - 7pm, 6 days a week.